The other main downfall of the game comes in the form of the shooting mechanics, or lack thereof. I shouldn’t be surprised, after all this is a Resident Evil title and we surely haven't seen a decent aiming mechanic yet. However, when I did manage to land one on target, it was extremely satisfying. Headshots in particular were fantastic, but then again, those were few and far between. Either I’ve been spoiled by great first-person shooting controls my entire gaming life, including those questionable Goldeneye: 007 ones, or I’m just a washed up old hack who can't shoot his way out of a paper bag. Nonetheless, I was still expecting something more than what felt like hip-firing after a few shots of Espolón tequila. On the upside, Resident Evil 7’s boss fights are a nice compliment to the normal action. They seemingly pop out of nowhere to scare the living daylights out of you and immediately thrust you into survival action. These encounters only add to the anxiety the game creates because no indicators are given about the status of the enemy. I couldn’t help but find myself wondering if this dude was going to die or if my bullets were simply ineffective. Fortunately, the ammo provided does the trick, you just need to be patient. Some folks might hate this non-responsive mechanic, but I think it blends well with the way the game was designed, inflicting unsettling and uninformed chaos on the player. Resident Evil 7 truly delivers an experience unlike anything I’ve even been exposed to in the gaming world. It’s fresh, unique, a little bit nostalgic, and downright stressful to play... in a good way. Capcom has taken some seriously impressive strides forward in the franchise and has potentially rescued it from fading into obscurity though this distinct and highly effective new point of view. Resident Evil is back and it will grip your from start to finish until you can’t possibly take anymore. The visuals complement the gameplay well and add to the horrifying total immersion. Classic Resident Evil controls that feel more clunky than before. The sounds blend nicely with the visuals to create a truly terrifying experience. The replay value is low but the impact of those short hours more than makes up for it. 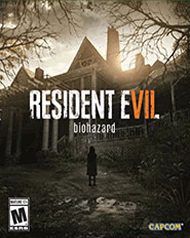 Returning to the series' roots - Resident Evil 7: biohazard will deliver an experience reminiscent of the series' signature gameplay including exploration, puzzles and a realistic tense atmosphere for players to encounter but will offer a complete refresh of the gameplay systems to propel the survival horror experience to the next level. Immersive, visceral horror - A new shift for the series to first person view brings the terrifying horror directly up close and personal; PSVR compatibility heightens the chilling experience even more. 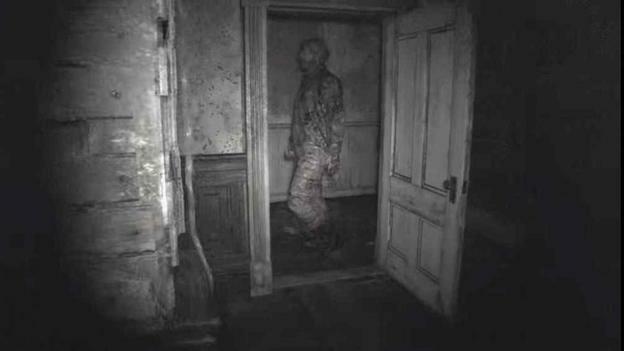 Opening the doors to a new era of horror - The next major entry in the renowned Resident Evil series makes a dramatic new shift as it comes to next generation consoles, Windows PC and PlayStation VR.